Home » Archive by category "SEN"
What can Teaching Assistants do to help SEN students? It is well known that a number of SEN students will have self esteem issues. They may stand out, compared to other students in the classroom and social situations may prove to be difficult to handle. Behavioural problems will certainly result and the SEN students may reconsider participating in group activities, isolating themselves which causes further issues. These emotions can be challenging both for other students, Teaching Assistants and themselves. Teaching Assistants will often spend a great deal of time with SEN students, so can make a complete difference in self esteem. TAs can encourage and enable SEN students to enjoy themselves and become confident in various social situations. Praising the students and giving them encouragement for each situation will build confidence and make a huge difference to their self worth. Perhaps the Teaching Assistant can use picture books or sticker charts to keep progress visible and help the SEN student to take price in their achievements. 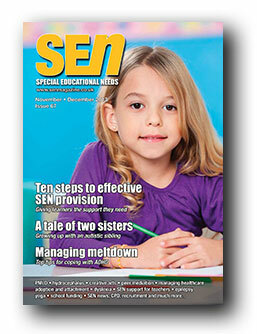 SEN Magazine is the UK’s leading special educational needs magazine and covers a diverse range of topics in its bimonthly editions. Its readership includes SENCOs, parents, therapist, teachers and other specialists in the area of special educational needs. The articles cover a range of SEN topics, such as autism, ADHD, dyslexia, cerebral palsy and much more. A copy of SEN Magazine is available free by simply sending your postal address details to SEN Magazine directly – anita@senmagazine.co.uk – and quoting TAFOCUS (no obligation to subscribe). The new Department of Education SEN Code of Practice (under the Children and Families Bill). Autism – autism support, Nobel Prize winner and a recent study on how autistic children are being viewed negatively by their peers. A new report showing how disabled and SEN children are affected negatively by low incomes. ‘What’s New?’ section with apps, awards, prize draws and other snippets of useful information. ‘Point of View’ section – Elaine Hook, freelance education consultant, writes an article on gifted children and the effects labelling can have. Sarah Alderson talks about her autistic son and how much she has learnt since his diagnosis. School funding for SEN provision – a look at the changes of funding to schools. The new funding will be split into three elements. SEN support for teachers – what will happen after the SEN system overhaul next year? Creative Arts – students express themselves with creativity. Support for those with PMLD (profound and multiple learning difficulties). Delivering skills for life – Sarah Sherwood reports on independent schooling for children with ASD. Gill Yaz discussed the effects of hydrocephalus and the impact in schools. Dyslexia – Sarah Driver discussed the needs of dyslexic pupils. ‘Book Reviews’ section, covering four very useful reads. 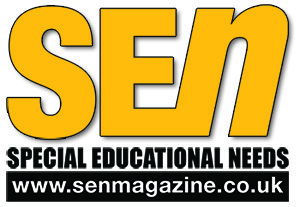 If you’re looking to advance your career or develop new skills in special educational needs, then take a look at SEN Magazine. Register for your free issue by emailing anita@senmagazine.co.uk, quoting TAFOCUS along with your name and address (no obligation to subscribe). 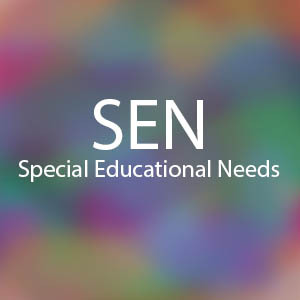 SEN Magazine is the UK’s leading special educational needs magazine packed full of interesting and authoritative features, news and articles covering all issues relating to special educational needs. 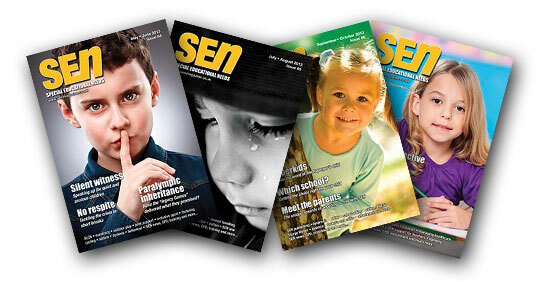 Complete our short survey for a chance to win a year’s subscription to SEN Magazine. We’d like to find out about the knowledge and skills of Teaching Assistants and what training would be useful to help them to perform to maximum effect in the classroom. Your experiences and thoughts on this matter will help inform training events for TAs. The closing date for all entrants is 20th January 2014. We will randomly select and notify the winner after the closing date. Our prize draw is only open to UK residents. The prize is offered as stated and is non-exchangeable or transferable. No cash alternatives will be provided. Once notified by us, the winner will need to provide a UK address, which will be passed on the SEN Magazine for the year’s free subscription. Your email address is required for the prize draw and will not be shared with any third parties. The winner will be notified by email. We reserve the right to pick an alternative winner if the original winner does not contact us within 14 working days of being told they have won. The prize is only open to entrants aged 18 or over. We reserve the right to cancel or suspend the prize at any point, without liability to the prize-giver or winner. Our decision is final on all matters and we will not enter into any further correspondence. By entering, you agree to be bound by these rules in relation to these prize draws. Francesca Barrett is an SEN Teaching Assistant, who also wrote previously on SEN reading and writing. Below she details her account on concentration during lessons. Pupils who suffer with an inability to concentration will find their daily school life a challenge. Many of these pupils are wrongly labelled as ‘naughty’ or children with behavioural problems, with the real reason being down to them suffering from a disorder that affects their concentration levels. Attention Deficit Hyperactivity Disorder (ADHD) or Attention Deficit Disorder (ADD) are two of the most common disorders with these symptoms and can, at times, reach fever pitch unexpectedly causing pupils to break school rules. This can be both frustrating and upsetting for the pupil and will need to be dealt with in a calm and collected manner with understanding and care. This lack of concentration can affect many parts of school life and with specialist help from teaching staff pupils can learn to overcome some of the struggles that come with having an attention deficit disorder. Sitting for long periods of time is a challenge for most pupils but add in the inability to concentrate and this becomes a greater challenge. Pupils who suffer from a lack of concentration are seen daydreaming when the rest of the class is paying attention missing out on valuable teaching time. As a result they may fall behind and become less motivated, with their confidence and self-esteem also being affected. For primary school pupils, their lack of concentration can be easier to deal with, and the help they get at this stage will benefit them in their future learning. If they are required to sit for a long period of time to complete a piece of work, allowing them the opportunity to get out of their seat after a set period can reduce their chances of daydreaming or frustration creeping in. If they can achieve this with little disruption to the rest of the class, praise must be forthcoming. A gold star or a special merit at the end of the week for good behaviour will make such a difference to these struggling pupils. This will encourage further good behaviour and a pattern will begin to build up. Work consisting of large amounts of words should be replaced by a mixture of words, images and diagrams, with activities kept short and interesting. This allows struggling pupils to participate in class and help keep their focus. Unless there is a necessary need to remove a pupil who is unable to concentrate from class, they should remain amongst their classmates and where possible teamed up with pupils they will learn from. Older pupils who lack concentration skills can behave very differently when in class. They become frustrated at their inability to focus like their classmates or find the lesson just doesn’t hold their attention. These pupils can become disruptive, get out of their seats and try to distract the other pupils, giving them the label ‘nuisance’ or ‘irritating.’ The best way to deal with this is not to completely exclude this pupil as that will only alienate them from the rest of the class and could possibly lead to further problems. Setting aside a workspace away from the class and allowing them to work from a prepared worksheet with the aid of a teaching assistant or possibly another pupil who they have been known to work well with. However, if their behaviour goes beyond a mere lack of concentration, then removing them from the class will be the only option. Sometimes a brief spell away from their normal environment can be beneficial. Most secondary schools have a SEN support area where pupils can be sent for one-to-one teaching and help. This is known to work extremely well and allows the struggling pupil to work at their own pace. Be aware of what provisions your school has in place for pupils with these types of struggles. Plan ahead for any potential difficult situations that may occur and how you will help to limit them. If you are aware that a lesson will require pupils to take notes or need to follow particular set of instructions, and you feel that one or two pupils will find the need to concentration difficult, draw up a small hand-out. You may find that not only pupils who suffer from a lack of concentration who will benefit from this hand-out, pupils who find writing at speed difficult, or have poor hand/eye co-ordination or possibly suffer from ear/eye problems will also find this hand-out extremely helpful. Francesca Barrett is an SEN teaching assistant. She has written a guest post below, detailing her reading and writing experience with SEN students. For some pupils simple tasks like reading and writing can be a difficult one, especially if they come under the umbrella ‘Special Educational Needs.’ These pupils are the ones that require a little more help in certain areas of their learning, with reading and writing high on the list. Dyslexia and dyspraxia are two specific learning difficulties that affect the way in which a pupil learns to read and write. These difficulties can affect some pupils only slightly, with others really struggling in their learning. Their confidence and self-esteem become seriously affected and motivation is lost, but with a huge amount of encouragement and praise pupils can slowly overcome these challenges. Many primary schools reward pupils for achieving different reading levels and for a pupil who had trouble reading this can be very disheartening. The others pupils are three levels ahead and change their books every two days, whilst they still have the same book they had last week. It would be a good idea to device a different reward scheme for those who are struggling with the possibility of time reading aloud to the teaching staff rewarded as part of the scheme. For very young pupils who are just starting on the reading path, books with built in sounds are a great too and will help them link a letter shape with the sound it makes. Flash cards and picture cards are also highly successful, as a pupil who can pronounce a word will be able to see which letters make up that word. For older pupils allowing them to listen to an audio version of a set book as they read along is extremely beneficial. They will be able to see how each word is pronounced and the possibility of skipping large chunks of texts will be limited. This is particular useful when dealing with complicated or challenging books such as Shakespeare or a language book. The use of a laptop or computer for homework or essays will alleviate any worries pupils may have due to bad writing skills, ineligible handwriting and spelling mistakes. Pupils will be able to concentrate on the content without added pressure to turn out a presentable piece of work. Although most software offering a spell check, it would be a good idea to encourage pupils to use a dictionary so they can compare their spelling and the correct spelling. Advising them to keep a small notebook of any words they have had trouble spelling will help them remember the correct way to spell these particular words. When preparing worksheets, adapt them to include text that is easily understandable, relevant images and uncomplicated diagrams and check that all pupils can work from them. Example hand-outs are also a great tool for a pupil who struggles with putting things in order i.e information or stories, which can make essays and coursework difficult to complete. If struggling pupils can see examples of how their work should be set out this will be a great benefit to them. Even taking the time to show them how to rearrange information they have gathered and turning it into a piece of work that is easily readable and flows well from paragraph to paragraph can be all they need. There are so many things, big and small, a teaching assistant can do for a pupil who struggles with reading, writing or both, but whatever they do will be one step closer to that pupil overcoming the challenges they face. Reading out a question in a way in which you know that pupil will understand means they will be able to answer that question the same as the rest of the class. Taking the time to show them examples, or sitting with them whilst they complete their work will give them the reassurance they need and make a huge difference to their learning.